A fine blend of minced lamb in a rich sauce. Lamb chunks cooked in a harmony of punjabi flavours. Lamb cooked with peppers, garlic and hot spices. 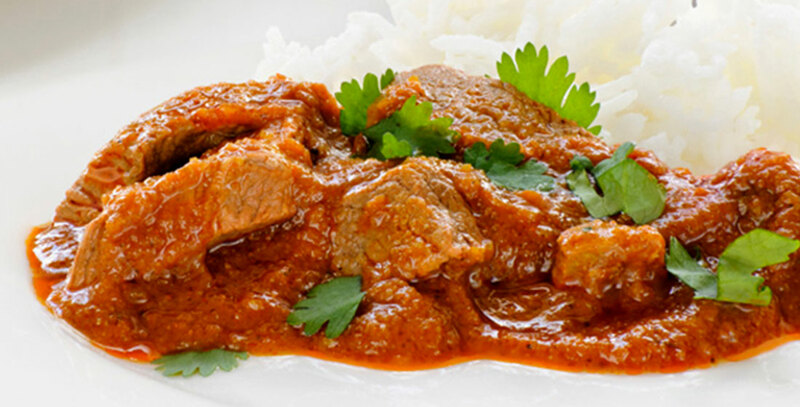 Lamb marinated with ginger and red chilli in a thick sauce. Lamb cooked with cardamon, peppercorn and cinnamon. Lamb cooked with fresh fenugreek leaves in a thick sauce. Roasted pieces in a spicy creamy sauce. A fine blend of minced lamb in a thick sauce. Lamb and green peppers cooked in a onion and tomato sauce. Lamb with fresh spinach leaves cooked in a mustard sauce.